Name Necklace — Christina Made It. Quite a few people were interested in how I made the name necklace, this post is kind of a step by step of the process. On a very lovely sunny day I sat in the garden cutting around the font with a piercing saw, similar to a coping saw but slightly smaller with a much thinner blade. The thin blade makes it easier to cut around curves and corners, essential for a project like this. 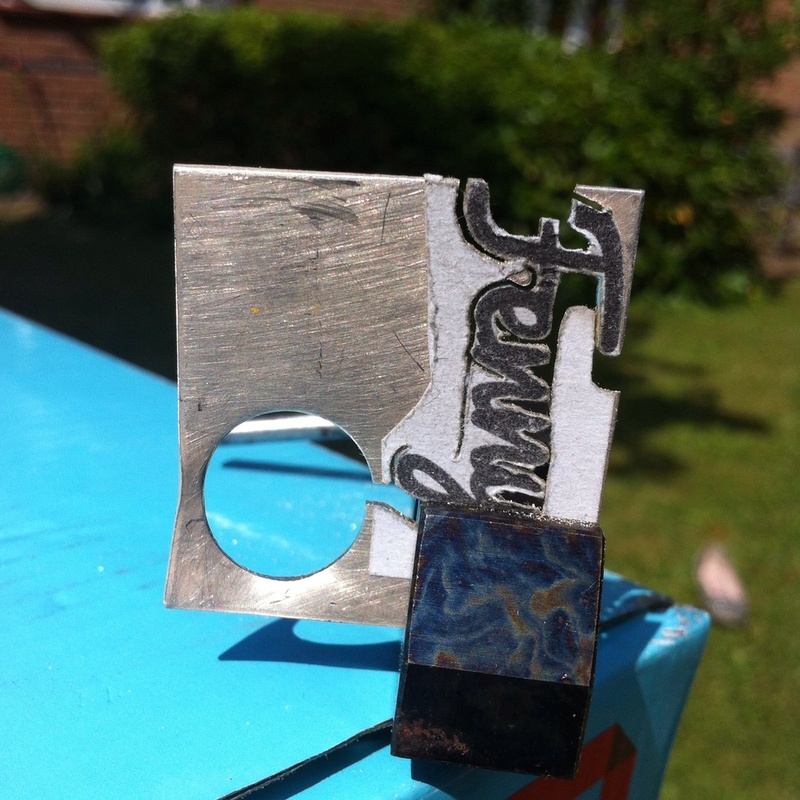 This side shows the sticker attached to the silver, which is being held in a tiny clamp to keep the piece steady as I cut it. (Any woodwork people reading this I really could do with a bench peg...) Once cut out I went back through with tiny files and sandpaper to neaten up the curves and edges to make it more defined. To enable it to be hung from a chain I soldered two jump rings to either end and then attached the chain with two further jump rings. Lots and lots of polishing later with the Dremel, first with the tripoli and then with the rouge, the piece was finally finished. Just in time to make it to the party with these cool little welly vases!